An elegant pair of horses showcase the tenderness and beauty of these extraordinary animals. The Double Horse Wine Coaster has a lovely shape and texturing as well as Galmer's signature sculpturing in repoussé sterling. 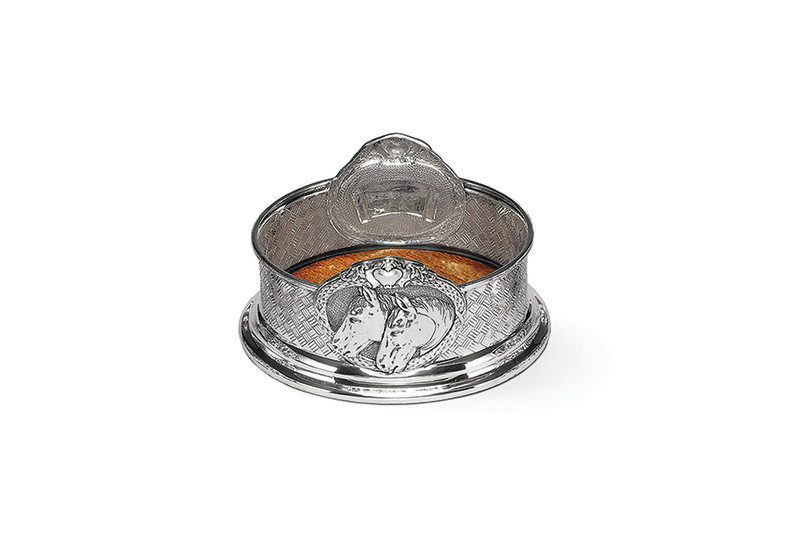 A graceful adornment to your bar service or dining table and a perfect gift for horse lovers.